We can engrave inside your ring! Whether it'd be a date or your nicknames, it can be done! See other photos for sample of font style. 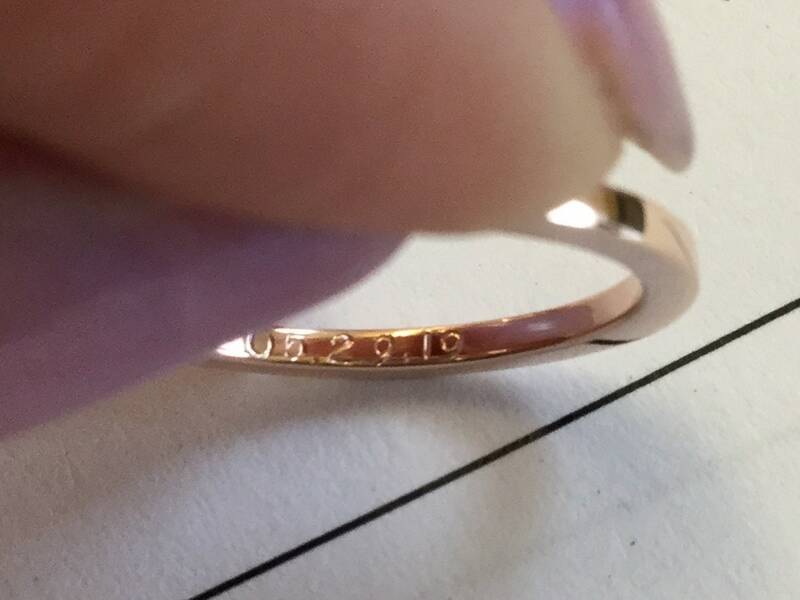 PLEASE ALLOW 3 EXTRA DAYS FROM FINISHED DUE DATE for the engraving procedure. Also, PLEASE NOTE, ALL engraved rings are NOT eligible for the free sizing! 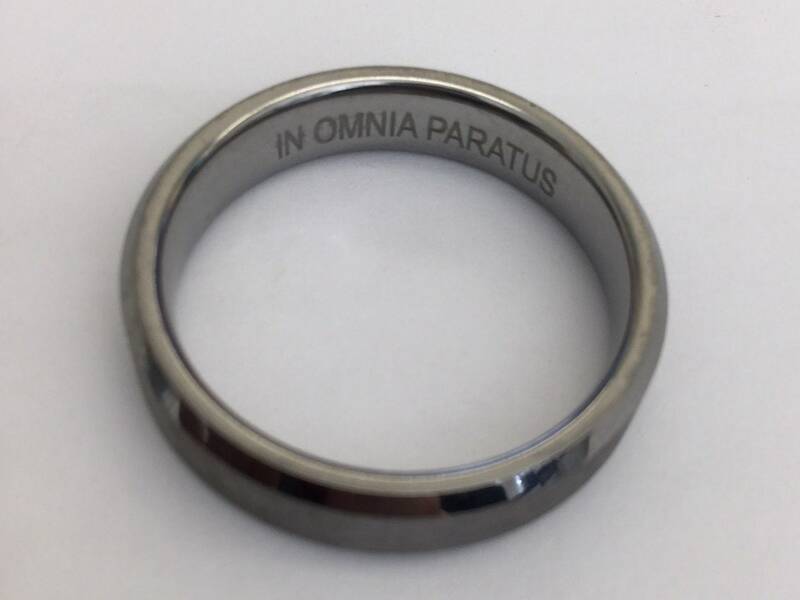 We, unfortunately, are NOT able to engrave almost eternity or eternity bands (due to lack of spacing). When checking out, please write in "Notes to Seller" exactly what you'd like to say within the ring including if you'd like all CAPS, with hyphens, dots, etc... WE ARE NOT RESPONSIBLE FOR TYPOS THAT IS NOT DONE BY US. So please make sure everything is written the exact way you'd like it to appear. Please note that engraving the item will be considered a custom project. Custom projects are non-refundable. Thank you in advance for understanding. 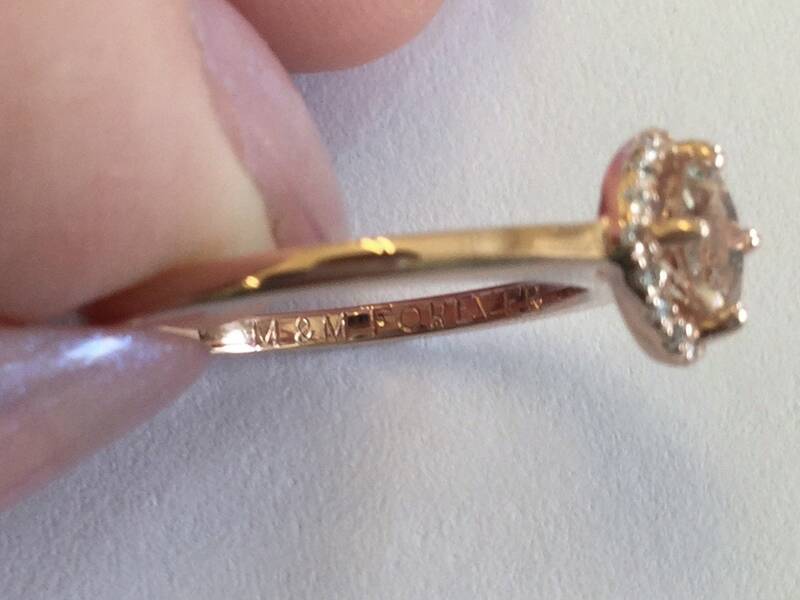 WOMEN'S RINGS (1.50mm Width & OVER) We suggest all engravings to be 15 characters (including spacing) for ring size 6.5 and up, 10 letters for size 6.25 and under. 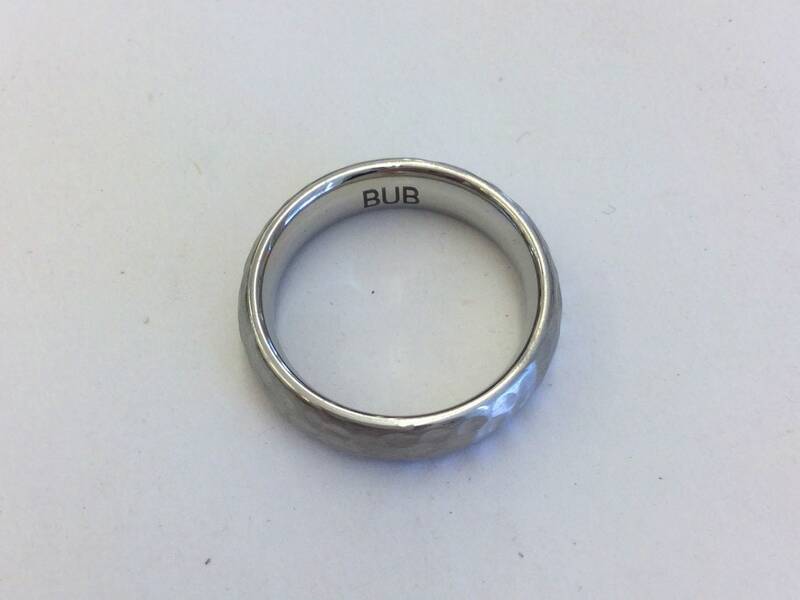 MEN'S RINGS: We suggest all engravings to be 25 characters (including spacing) and under for legibility. NOTE: Engraving will usually be on the right inside of the ring because our carat weight gold stamp and logo with be on the left side. 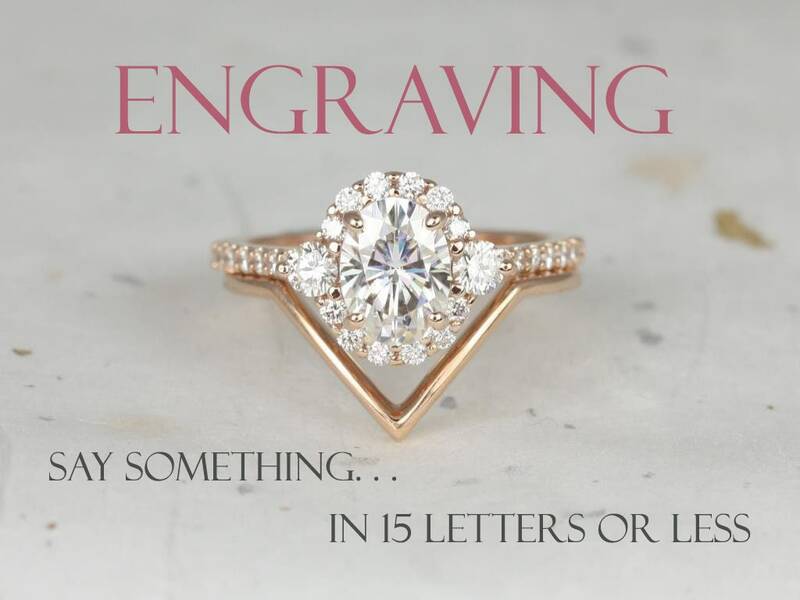 We don't recommend engraving in the center because if you need to size your ring, the engravings will need to be removed. Engraving is delicate and perfect. Love it, such a special addition to my wedding band. My fiancé loves the ring and couldn't be happier. Excellent craftsmanship!